Kay Perdue is the office manager, legal assistant as well as bookkeeper with the Law Office of G. Alan Dodson, LLC. She has been with our office since 2006, focusing primarily on estate administration including probate work with estates, conservatorships and guardianships. She also handles all the office billing. Kay is the Director of the Spalding County Jr. Deputy Program, Inc., a nonprofit youth mentoring program. 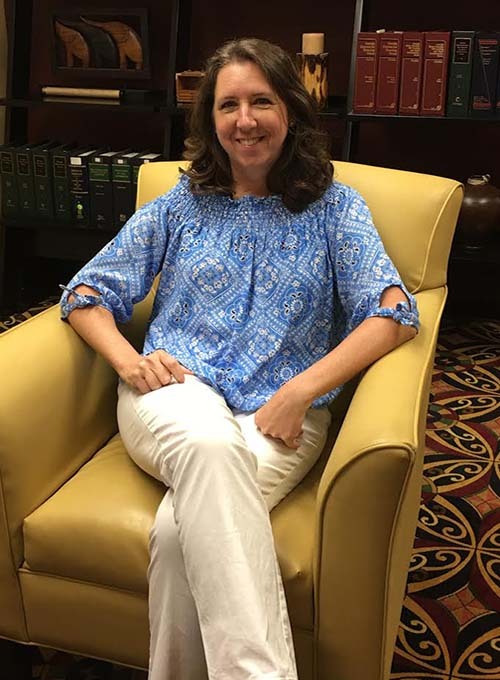 She is a volunteer with the Griffin-Spalding County School System, Partners in Education and SHS International Club, and was recipient of the 2012 Bain Proctor Award for Volunteerism. She is a member of First Baptist Church and resides in Griffin with her husband, Victor, and three children and three grandchildren. In her free time, she enjoys traveling, kayaking, hiking and camping. Copyright © 2017 G. Alan Dodson, Attorney At Law. Dev by Silver Webworks.